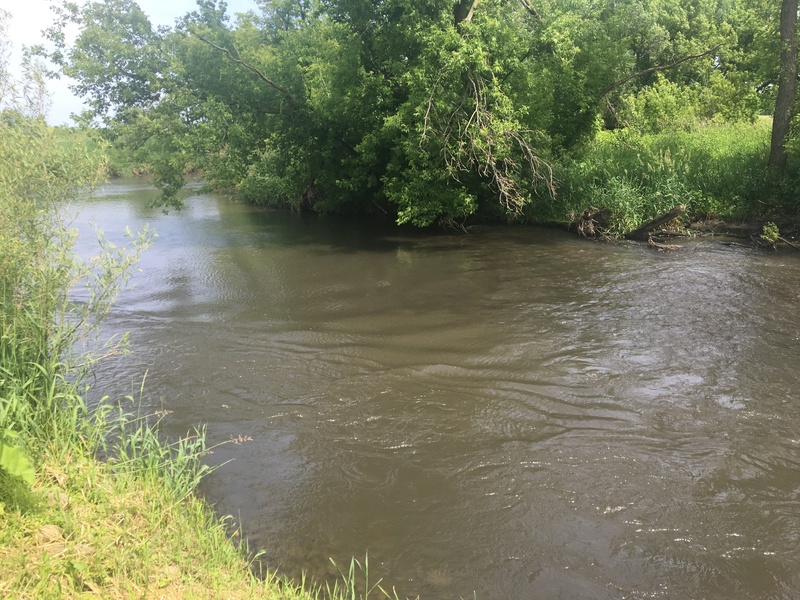 Preserving the accessibility, quality and safety of water is a top priority for farmers, business owners and community members in the Upper Sugar River Watershed. 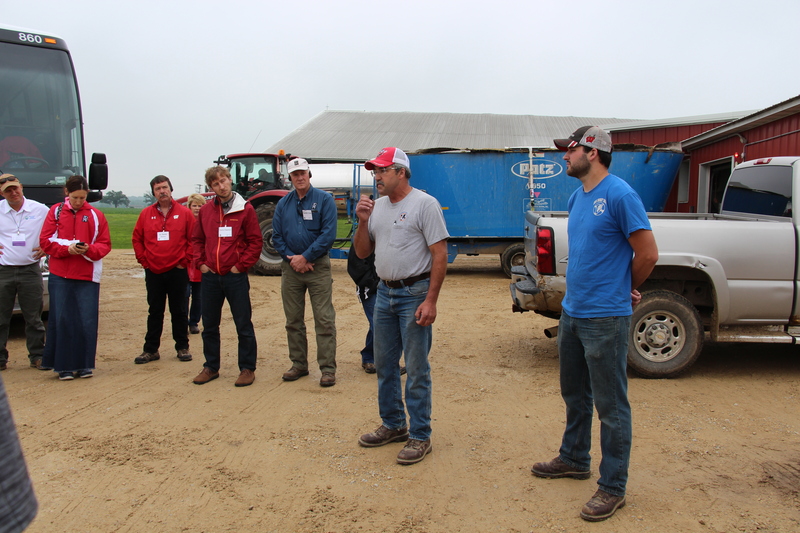 On June 26, 2018 in Verona, Wisconsin UW Discovery Farms, in partnership with the Professional Dairy Producers of Wisconsin hosted a third annual water tour. 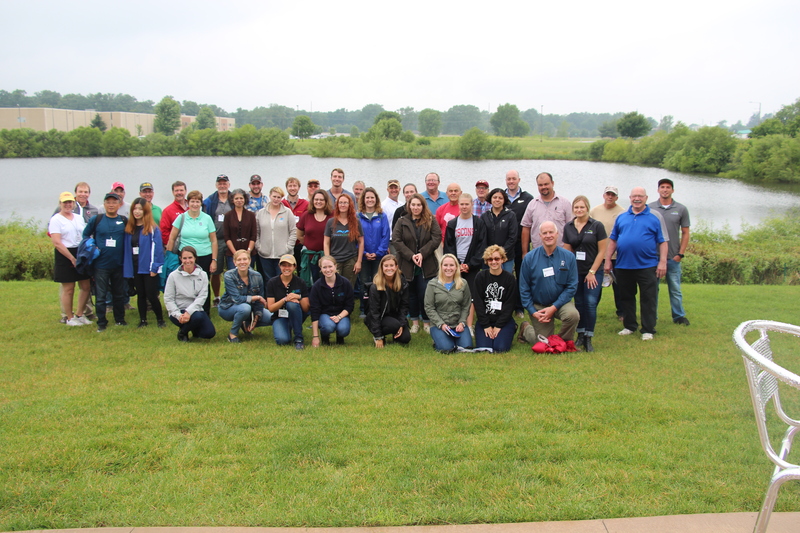 These tours were started to engage communities in a water quality discussion and to showcase the environmental stewardship of farms, businesses and cities. The title of the 2018 tour was Water Matters. Stops on the tour included SunBurst Dairy, a lunch speaker from the Upper Sugar Watershed Association, a tour of Verona from Public Works and a visit to Wisconsin Brewing Company. “Small steps lead to big steps” explained farmer, Brian Brown at the first stop on the tour to SunBurst Dairy. Brian, along with his wife Yogi and son Corey, owns and operates the 500-cow dairy in the Upper Sugar River Watershed. As Brian began to farm on the landscape, he noticed the banks of the Upper Sugar River gradually eroding, washing away valuable landscape and cutting into his cropland. Seeing this encouraged Brian to work closely with his local land conservation and NRCS to restore a large section of the stream’s banks on the farm using rip-rap and mechanisms to favorably shape the slopes. This process made tremendous improvements to the quality of the stream. As president of the Farmers for the Upper Sugar River, Brian understands the importance of farmers sharing their conservation goals with one another. Farmers for the Upper Sugar River Watershed is a farmer-led group with an overreaching mission to bring together like-minded farmers, strengthen water quality improvement efforts and leverage educational and financial resources for the future. The group established a cost share program for implementing conservation practices with funding received from the Department of Agriculture, Trade, and Consumer Protection’s Producer-Led Grant Program. After SunBurst Dairy, attendees listened to Wade Moder, Executive Director of the Upper Sugar River Watershed Association share the work the association does to improve community engagement in watershed efforts. Two more stops were made on the tour to the City of Verona Public Works and Wisconsin Brewing Company. 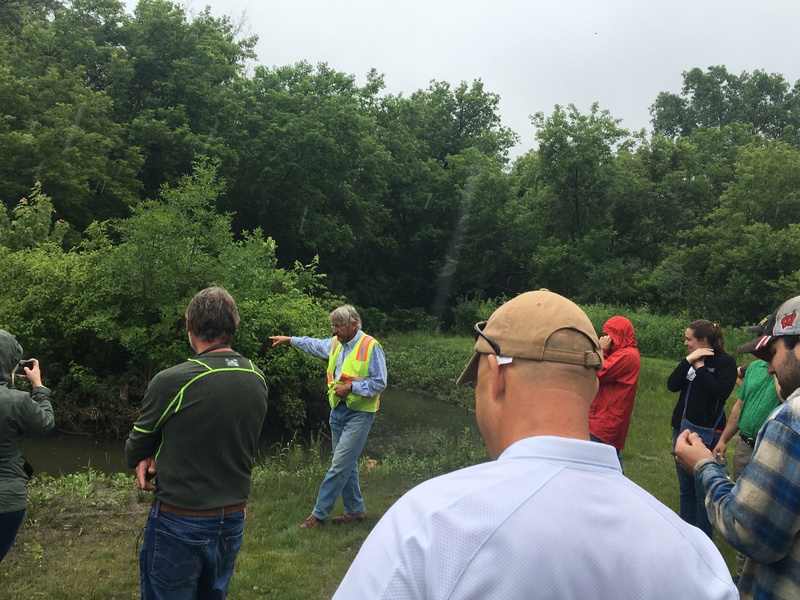 At the City of Verona’s stop, attendees listened to Marty Cieslik and Robert Bohanan share how they are working with the new and improved storm water management strategies in a rapidly developing area. At the last stop, Wisconsin Brewing Company’s Brewmaster, Kirby Nelson, discussed about how the brewery is managing their water while still making great brews! Water matters because it supports people, businesses, agriculture and communities. It is important everyone takes an active role in protecting our water so it can continue to be a resource for future generations. The Water Matters Tour was a great way to bring together people from many sectors to discuss why water matters.